Have you ever thought of exploring the northernmost part of Mainland Luzon? If yes, then this travel guide, 5-DAY DO-IT-YOURSELF ILOCANDIA | VIGAN-PAGUPOD, does belong to you. Let’s have a little bit of geography. Ilocos Region is geographically situated in the northwest part of Mainland Luzon, it comprises several provinces namely Ilocos Norte, Ilocos Sur, La Union and Pangasinan. 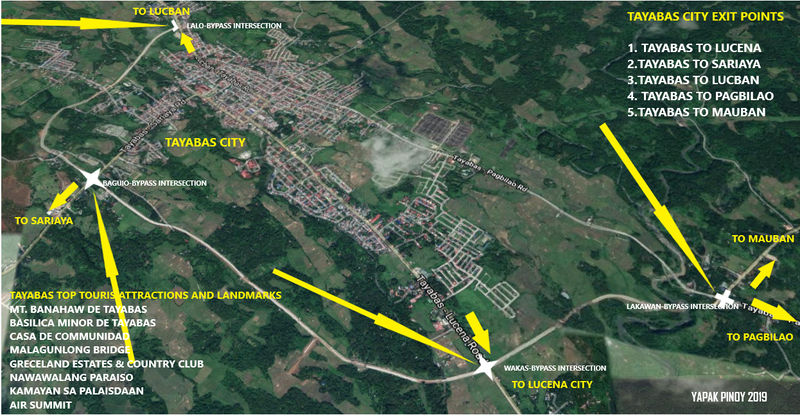 What we are going to share today is the Northen Ilocandia, the provinces of Ilocos Sur and Ilocos Norte., the popular hometown of the owner of Ms. Universe Philippines, Chavit Singson and the famous hometown of the Macoses respectively. Why we “Do-It-Yourself” instead of package tour? It is because we have used to doing it ourselves in travelling, we have been doing it for quite some time already. If you are planning to explore Taiwan from the North in Taipei all the way to the South in Kaoshiung, we’d like to share our 7-day itinerary and expenses exactly as what we had experienced when we visited Taiwan. We’ve tried to fit everything in, all the places we’ve wanted to visit and we’ve initially planned, there were however inevitable minor changes along the way when we were already exploring Taiwan. Firstly, we’ve planned a North to South adventure in Taiwan to experience High Speed Rail. Taiwan is one of the only four countries in East Asia that has High Speed Train namely; China, Japan, Korea, and Taiwan. Bullet Train is not a new thingy for us, however we wanted to experience to be on board via High Speed Rail again. This time in Asia. We’ve found Taiwan on the net as the cheapest alternative to rejuvenate our High Speed Train experience. If there is one in my beloved country, the Philippines, I don’t think I would be excited of the HSR experience. 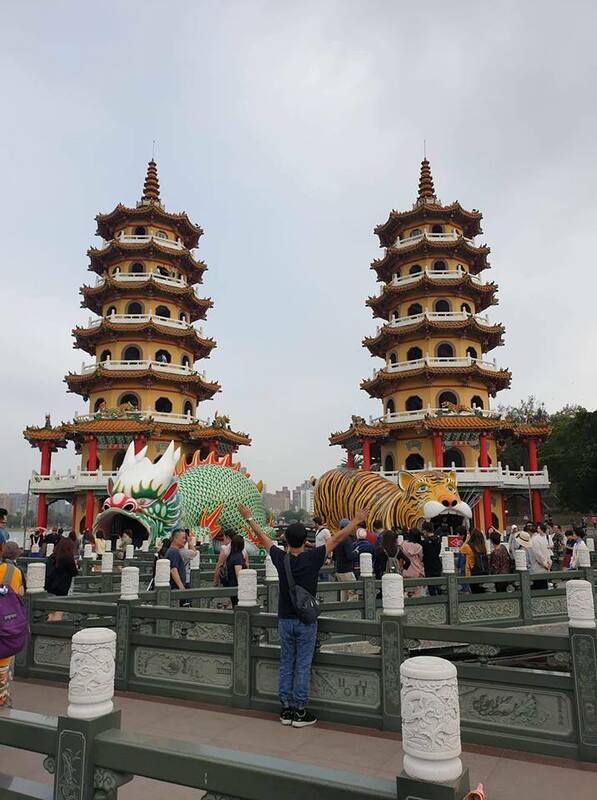 Secondly, we wanted to explore the entire country, to get to experience its cultures and traditions and how it differs from other Chinese States or Special Administrative Regions. Lastly, we wanted to experience its cold climate, definitely not the freezing point cold but the tolerable one. We may have visited Taiwan during winter but our researched told us that it was not going to have snow in the key cities, a temperature that something we could tolerate. We wanted to explore the country certainly not to be frozen. 😊 Overall, Taiwan gave us an experience that has gone beyond our expectations. Does it require VISA to visit Taiwan? NO, you do not need a tourist visa to visit Taiwan, you are good to go with your Philippine Passport, tt least up until July of 2019. Is it expensive to Travel to Taiwan? Will we go back to Taiwan again? What are the other places we’d like to visit if we are going to go back to Taiwan outside Taipei? When is the best time for us to travel to Taiwan? WINTER, we are from oriental country, the Philippines. We do not have Winter season. We only have summer. It is hot all year round. We took a rest at the hostel. While we were in the our hostel, we figured out our next activity for Day 2. We actually disregarded our planned itinerary for Day 1. The weather was not good and cold, it was raining hard on Day 1. We agreed to book Taipei Sightseeing Bus for our Day 2 activities. We could not afford to DIY for each tourist destination if the weather was unfavorable. DAY 2: TAIPEI SIGHTSEEING DOUBLE DECKER BUS-the weather is perfect! 02-25-19 Monday: Looked for our breakfast near Neosoho Hostel. We tried noodles on the sidewalk, we were shocked of the undesirable taste, we went to Family Mart and had some Japanese rice and coffee instead. We basically spent our day and night visiting Taipei Metropolitan’s Top destinations and landmarks. Do not forget to get inside Taipei 101 to dine. You really don’t have to go all the way up on top of the building, just get inside. The building view from the outside is magnificent and stunning! You can also go to each landmark by Metro or MRT, you can DIY all you can, Taipei’s landmarks are very accessible by Metro trains. PM: We headed back to our Hostel in the afternoon. We chilled a bit, then we booked our Train ticket to Chiayi City, it is 261 kms down south of Taiwan. Interestingly, our intention was to take HSR (High Speed Rail) but we booked the train ticket at the wrong window and so we ended up on board on a regular train “no seat“, we were almost standing for 3 long hours all the way to Chiayi City. We could only sit if someone left their seat. So make sure if you are going to buy a ticket, advise the ticket counter that you want to get a reserved sit. Also ask them if it is HSR or Regular Train. Regular train’s speed is fast but it is not as fast as the HSR. Bullet Train has its own dedicated railways. We arrived at night in Chiayi Main Station, we’ve met our friend, we headed to our hotel first at Gene Long Att Hotel to leave our bags, and then our friend strolled us around at Chiayi Night Market. 02-28-29 Thursday: We were supposed to visit Alishan but we changed our itinerary in an instant for Day 5. Although Alishan is the main attraction in this region, we skipped visiting the place due to travel time. We realized that we had had enough of nature park adventures when we explored Shifen Old Street in the Northern region of Taipei. AM: We decided to just go to CHIAYI TOWER in the morning instead. Chiyai Tower was just 5 mins away by taxi cab from our hotel (Gene Long Att Hotel). We went all the way up the tower for a 360 degree overlooking view of the city of Chiayi. We are based in Makati so nothing is spectacular as far as skyscrapers are concerned. PM: We decided to head to the Southernmost part of Taiwan to Kaoshiung City via High Speed Rail. I asserted to my friend that one of the reasons why we visited Taiwan was to experience the High Speed Rail. We had luckily booked the correct HSR ticket this time. Always take note that High Speed Railway is different from Taiwan’s regular railway. Due to lack of research, we never expected that Chiayi HSR Station was several miles way from Chiayi downtown, and as a result, we paid hefty taxi fare of NTD 480. If we did our homework and research, we should have taken a bus ride from Chiayi downtown to Chiayi HSR Station instead. HSR is a must-experience in visiting Taiwan, it has top speed of 310 kmh. HSR Train from Chiayi HSR Station to Zouying District HSR Station (25 mins travel time), then train transfer from Zouying Station to Kaoshihung Main Station. Liuhe NIght Market, delight your eyes with all sorts of Taiwanese foods, full your stomach with the variety of Taiwanese cuisines. For a more detailed information about Liuhe NIght Market, please visit TRAVEL GUIDE | Night Markets in Taiwan: It is a way of Life! Liuhe NIght Market, we enjoyed food-tripping in Liuhe Night Market, thus we skipped other NIght Markets in Kaoshiung. TRAVEL GUIDE | Night Markets in Taiwan: It is a way of Life! Wherever you go in Taiwan, there is always a Night Market, it is their way of life! If you love food trips, Night Market is a must-visit night out food trip in Taiwan. Absolutely, Indigenous Taiwan Cuisines are waiting for you!